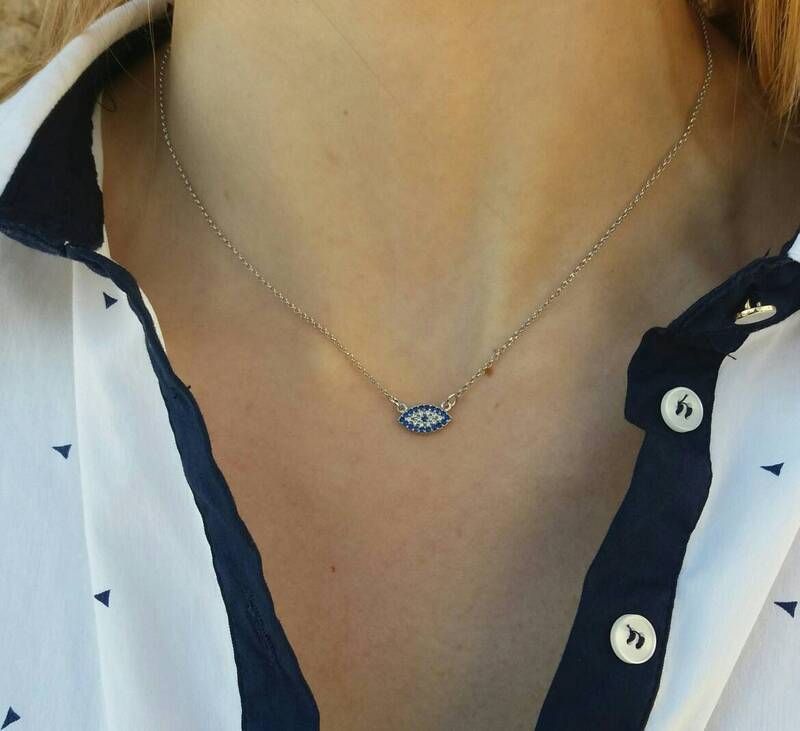 A silver evil eye necklace with blue zircon hanging on a 925 sterling silver chain. It is elegant, dainty and still eye catching! 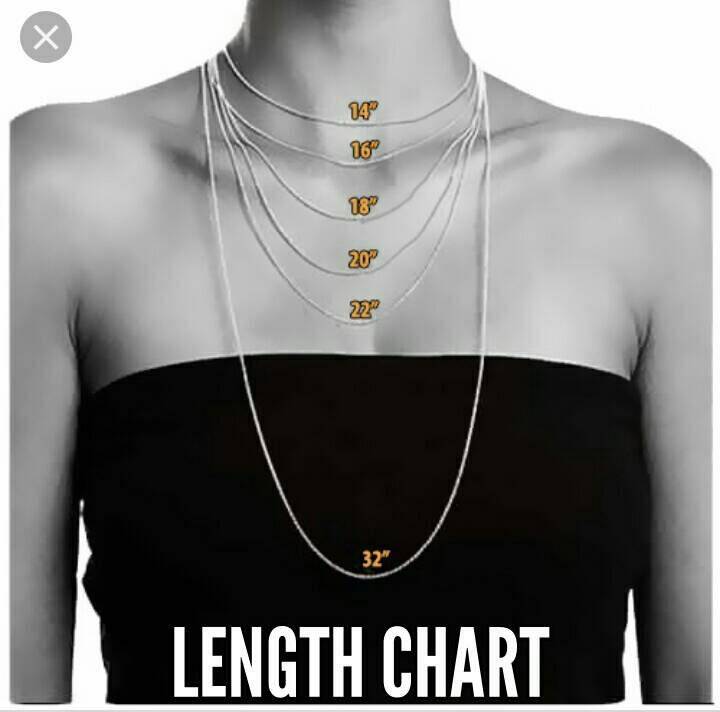 Beautiful necklace and excellent service.